An exceptional princess cut diamond solitaire engagement ring featuring channel set diamond shoulders in a simple, elegant design with classic looks and styling. 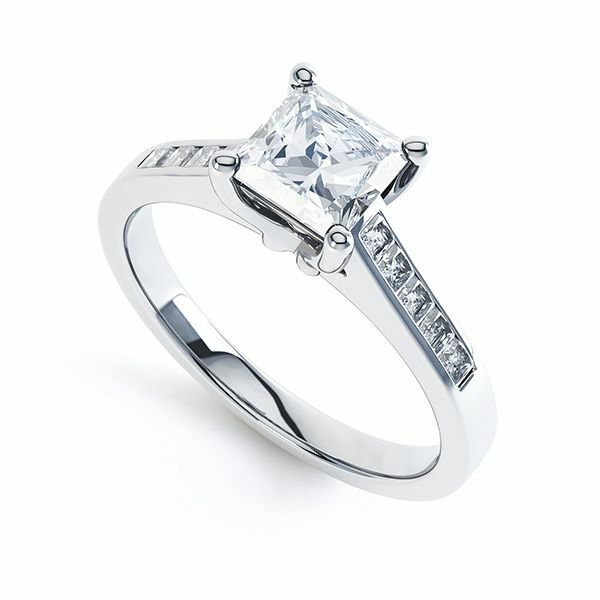 The Fliss Princess cut Diamond shoulder Engagement Ring design adds a further dimension to the modern Engagement Ring. 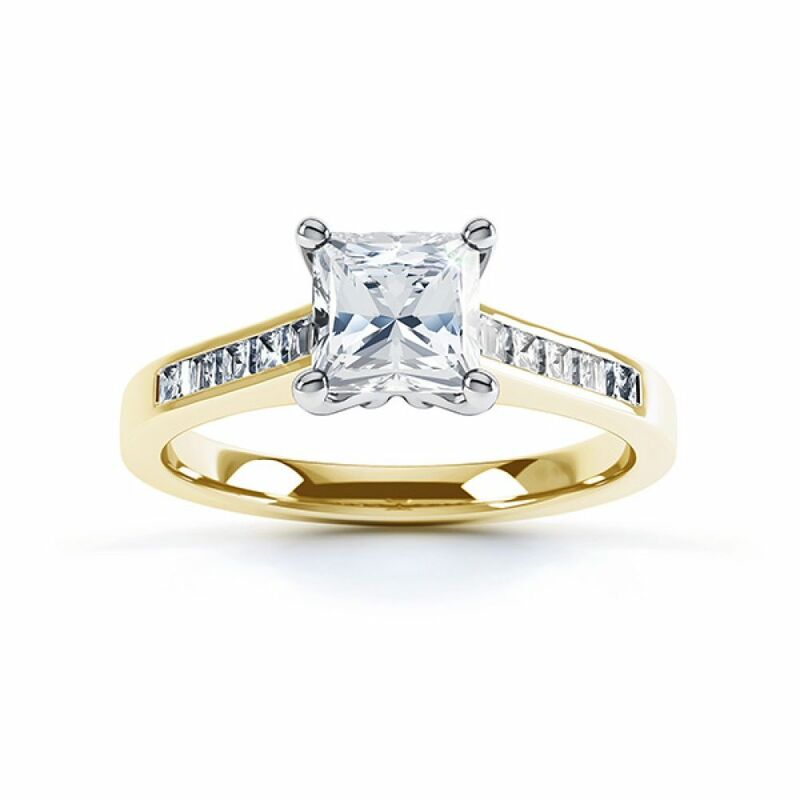 Styled with a classic four claw setting, the Fliss Engagement Ring includes exceptionally crafted, channel set Diamond shoulders. 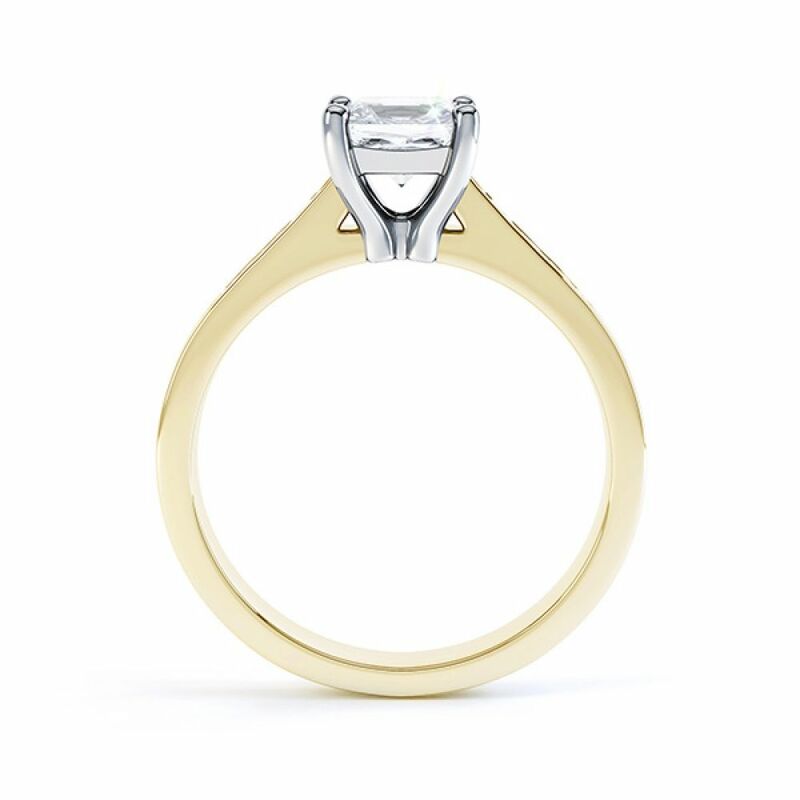 Flowing from a 2.5mm wide court shaped band, precision channel set shoulders to feature 10 x 1.5mm Diamonds adding a further 0.25cts to your chosen Diamond selected from our main menu above. The Fliss design remains a constant favourite amongst Diamond shoulder Engagement Rings. 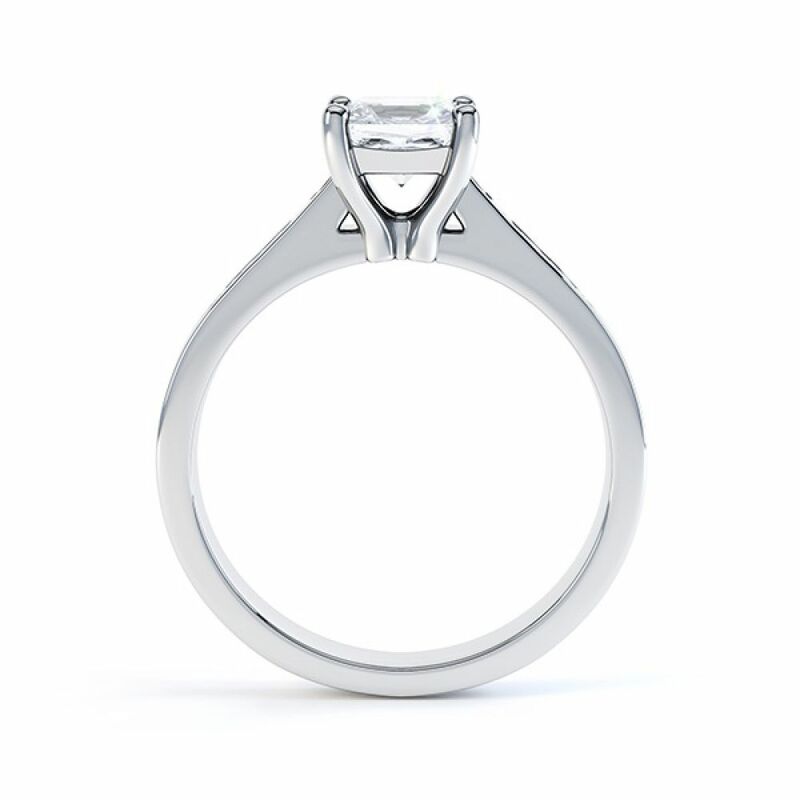 This popular design benefits from a substantial yet comfortable band with a protective channel edging to each shoulder Diamond – suitable for everyday wear. We craft each commission of this elegant Engagement Ring within 3-4 weeks before delivering your completed commission to your door, beautifully presented within our pristine Serendipity Diamonds ring box with the addition of a secondary pocket box. Possibly the nicest purchasing experience we've had for a long, long time. Fantastic and personal service, really understanding our need to get as near to an identical replacement ring for the one lost in a burglary..
All in all, we would recommend Serendipity to anyone - Can't fault 'em !! 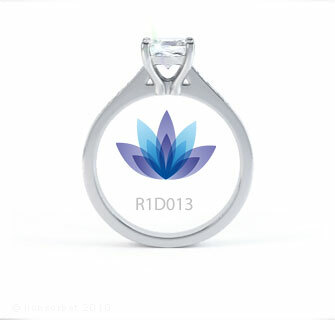 Fliss - R1D013. A Bespoke Sized Diamond Engagement Ring Set with 0.50cts EVVS1 Princess Cut Diamonds and a further 0.25cts Channel Set into the Shoulders. Service rating : Exceptional service, quick reponse to emails and quality advise tailored to individual requirements. Product : Looks perfect - I'm sure the other half will love it! Service rating : A bit longer than 14 days delivery.